A few weeks ago in a courtroom in Washington DC, lawyers with the blessing of the US Dept. of Justice (DOJ) argued that gene patents are invalid. The judges of the Court of Appeals for the Federal Circuit are now mulling over the question and we should be too. This was in the famous Myriad genetics case which has brought gene patenting to the attention of so many people who hadn’t thought about it before. It gets your attention your test for the “breast cancer gene” (BRCA1 or BRCA2) costs $3000, and it piques your curiosity when you learn the gouging is allowed by a public university owning gene patents and licensing them to a biotech company started by one of its professors. Last year in District Court, the plaintiffs (the ACLU and others) challenged gene patents in general and won a surprising victory, sending the case to the Court of Appeals (and possibly on to the Supreme Court, which has only taken one other patent case). The Court of Appeals received a head-turning amicus brief from the DOJ calling for an end to gene-patenting. There was also a brief from the Assn. of University Technology Managers in favor of gene patenting; universities love to use your tax dollars to study and patent genes, which they then sell or license to biotech companies, without paying taxes on profits. Case in point: patents for the BRCA genes are held by the Univ. of Utah and licensed exclusively to Myriad genetics, co-founded by Utah adjunct professor Mark Skolnick. Much of the funding came from the National Inst. of Health (which the patent application didn’t even mention this until NIH challenged the patent). But how could genes be patented in the first place? Products of nature have always been exempt: no one can patent a bird’s nest, a shark’s fin, or an oak tree. When an “inventor” applies for a patent, the US Patent & Trademark Office (USPTO) first makes sure the “invention“ is eligible to be patented – i.e., it isn’t a product of nature and most definitely not a human being – and then checks to make sure it is “new,” “useful,” and “nonobvious.” Newness, or novelty, is a crucial concept, sometimes used counterintuitively in intellectual property circles, and some stunningly silly inventions have been deemed new (one of my favorites being the comb-over, and how Donald Trump manages to evade prosecution for infringement is a question for greater legal minds than mine). Normally, “new” means it wasn’t part of the “prior art” — the extant body of knowledge — but it’s also the key to whether DNA “inventions” are even patent-eligible. If you can convince a court that your invention doesn’t exist in nature, then by definition it must be “new” and therefore patent-eligible. There’s your trouble. There are no general rules for telling the “new” from the “old, just tweaked a bit.” Obviously the criteria have to vary with different kinds of inventions. Biotechnologists started copying, altering, and moving DNA before legislators had even tried to legislate what would be patentable in the biotech era, and so judges just started judging it…based on …what? Based on whether they got a “new” vibe after the lawyers were finished describing the invention. The appellate judges are now being asked to clarify what categories of DNA “inventions” give off “new” vibes. As the DOJ sees it, the District Court saw too many things as products of nature, even casting doubt on the patent-eligibility of “genetically modified crops…[that] are in every meaningful sense the fruits of human ingenuity and thus qualify as ‘human-made inventions’”. The DOJ does get “new” vibes off of GM crops (unlike many Canadian and American judges), just not off the genes themselves. Back in the early 1900s, some patent applicants argued that if you artificially isolate a product of nature, it can have new qualities; so it’s an invention. A spirea bush was a product of nature, but aspirin isolated from it was an invention; an adrenal gland was a product of nature, but purified adrenaline was an invention. Then in 1979: bacteria was a product of nature, but a pure strain of a bacterium was an invention. Well now, biotech routinely involves artificial isolation of DNA, so the argument was almost inevitable: a chromosome is a product of nature, but an isolated gene (or other DNA segment) is an invention. This is exactly what happened in the 1991 Amgen case, which was a fight over which company owned rights to genes for a human protein called EPO (same stuff Lance Armstrong has been accused of injecting). Amgen claimed the EPO gene was an invention because it was “purified and isolated” by being identified and reproduced outside its natural environment. Clearly feeling the “new” vibe, the Federal Circuit found that no one “invented EPO or the EPO gene,” but the patent was for “the novel purified and isolated sequence which codes for EPO”. Since then, tens of thousands of genes have been patented on this rationale, including over 20% of human genes. Let’s leave aside the ethical, political, and economic problems with gene patenting; there is a profound problem in the legal logic. Yes, it is conceivable for an isolated & purified substance to take on qualities different from the same substance in its natural form, certainly enough to give of a distinct vibe of newness. But as John Conley points out, “the entire utility of the claimed isolate lies in the fact that it is functionally indistinguishable from the natural version.” That is: the only thing a gene does is to carry information in its DNA sequence; if the isolated & purified version carries the same information then by definition it does the same thing. If the isolated gene really were different than the naturally occurring gene, then they couldn’t claim rights over the naturally occurring gene, could they? The ACLU et al. used this argument before the Federal Circuit court, asking how the DNA could be an “invention” when “Myriad’s entire business is based on isolated DNA being identical to” chromosomal DNA. None of Myriad’s arguments rebut this. 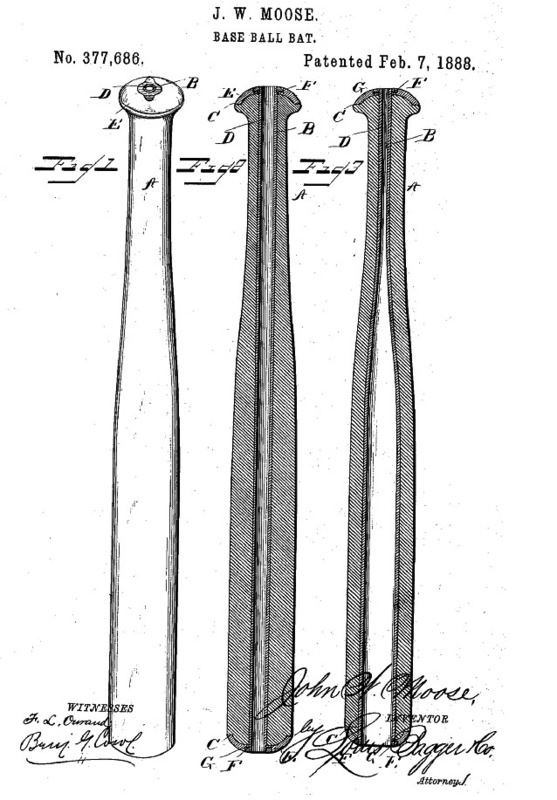 Myriad’s lawyer, asked why the DNA product was a human invention rather than the handiwork of God, replied that “only God can make a tree” and yet a baseball bat can be patent-eligible; the isolated DNA had been embedded in a chromosome just as the bat is “embedded” in a tree. Isolated DNA, therefore, is not made by God but is the product of “molecular biology” and human ingenuity. Much (although not all) of what is being written is critical of the plaintiffs’ (and DOJ’s) stand, and the betting is on a ruling for Myriad and gene patents. Given the economies and institutions that have developed around gene patents, abolition would be a nuclear option that is hard to imagine. But it’s just as hard to imagine a legal rationale that is as patently flawed as the rationale for gene patents. This entry was posted in Biotechnology, Intellectual Property and tagged patents biotechnology. Bookmark the permalink. In fact NIH has supported the research on BRCA1 and BRCA2 all the way back to the early 1990s — I’m thinking of crucial early work by King and others at Berkeley. The argument about the high costs of research would be a bit more convincing if we taxpayers hadn’t paid for so much of it. I’m imagining it—a bright, legal mushroom cloud. What I find truly difficult to imagine are the unanticipated ecological effects of unchecked genetic modification. I second diagoumee.Succinct. Nice. Liked the fact that you even gave us the links to the arguments.